Michael is baptized a Jeovah Witness at the Kingdom Hall of Los Angeles. Janet meets dancers Terry Bixler & Anthony Thomas during a private dance audition for Thriller at Hayvenhurst. They introduce her to Rene Elizondo Jr and they become friends. The single Billie Jean is released by Epic and Michael shoots a video for the song directed by Steve Barron. The family moves back to Hayvenhurst now equipped with a second story to the bedrooms, upstairs a den and a gym, downstairs a game room and a thirty-two-seat movie theatre and off the entry hall, a trophy room. Janet performs “Say You Do” on Solid Gold. “Come Give Your Love To Me” is released as the 2nd single from “Janet Jackson”. Michael goes to London to work on songs with Paul Mac Cartney. While in London , he attends the British Awards to accept an award on behalf of Barbara Streisand and he also visits his friend Mark Lester. LaToya, Janet and Joe Jackson attend the R&B Awards in Los Angeles. Janet performs Young Love on Musikladen. Michael is on the cover of Rolling Stone Magazine With exclusive photo and an interview by Gerri Hirchey. At a CBS Records press conference, Jane Fonda presents Michael with a Platinum certification for Thriller. The single Beat It is released by Epic. The video of Billie Jean is added to MTV’s playlist which is seen as a major breakthrough for a black artist. Michael is on the cover of Rock & Soul magazine. The Jackson do not renew the managing contract of Weisner & DeMann. On Skid Row, east of Hollywood , Michael begins filming the video of Beat It, directed by Bob Giraldi & choreographed by Michael Peters with 25 dancers and 50 actual Los Angeles gang members. The video costs $ 150 000! The co-managing contract between Joe Jackson, Weisner & De Mann expires. 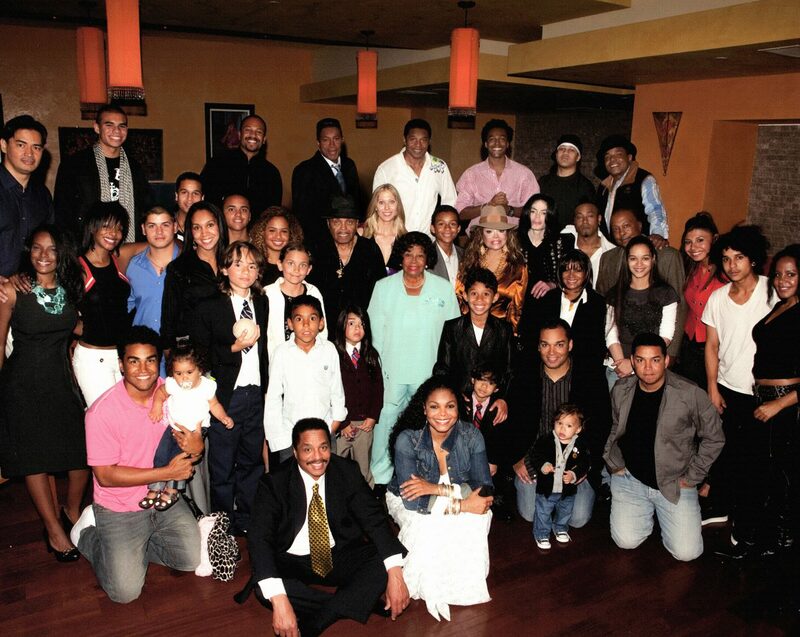 Michael attends the opening night party of the stage show Dreamgirls with Latoya. Michael & The Jacksons rehearse for Motown 25th Anniversary Show at the Pasadena Civic Auditorium. Beat It is added to MTV’s playlist. Michael attends a post concert party for Liza Minnelli at the New Universal Amphitheater, Hollywood with Quincy Jones & David Geffen. All the Jackson brothers (including Jermaine) rehearse and tape their segment of the Motown 25th Special at the Pasadena Civic Auditorium. Michael & Samir Kamoun don Charlie Chaplin outfits to pay tribute to him on his birthday. Michael is on the cover of Jet magazine. “Say You Do” is released as the 3rd single from “Janet Jackson”. The single Wanna Be Startin’ Somethin is relased by Motown. NBC broadcasts the two hour special Motown 25th: Yesterday, Today & Forever featuring for the first time since 1975, a performance of the six Jackson brothers for a medley of the Jackson 5 hits followed by a solo performance of Billie Jean during which Michael showcases his first ever public performance of the Moonwalk. At the end of the show, Michael joins Diana Ross and all the Motown stars on stage to pay tribute to Berry Gordy. The show is watched by 47 millions Americans and Michaels dancing talents are finally recognised when legends such as Fred Astaire & Gene Kelly call him and congratulate his performance. “Love Is My Best Friend” is released at the 4th single from “Janet Jackson”. Michael is on the cover of Creem magazine. Member if The Jacksons World Fan-Club receive an improvised and unreleased song from the group named The Surprise Song. Michael decides not to renew his managing contract with Joe, Weisner & DeMann. Michael is rumoured to work with Steven Spielberg on a new adapatation of the children fairy tale Peter Pan. The single Human Nature is released by Epic. Michael appears on the cover of the teenage magazine Top. “Don’t Mess Up This Good Thing” is released at the 5th and final single from the album “Janet Jackson”. Pre-production begins on the Thriller short film directed by John Landis & choreographed by Michael Peters. It is announced that The Jacksons will tour the in 1984. Michael is on the cover of Black Beat magazine. Michael signs an agreement through his production company Optimum Productions, that will pay John Landis 50 per cent of net profits from both the Thriller video and the documentary. Michael’s performance at the Motown 25th is shown at the Emmy Awards Ceremony where it is nominated but does not win. The Jacksons sign boxing tycoon, Don King, as promoter of their forthcoming tour. Michael is on the cover of People, Interview, Globe & Rock & Soul magazines. The single P.Y.T (Pretty Young Things) is released by Epic and it features Janet & Latoya doing background vocals. A new duet between Michael & Paul Mac Cartney named Say Say Say is released by Columbia Records and becomes a big success. Michael & Paul shoot the video in Santa Ynez Valley ( California ) with cameo appearances by Latoya Jackson & Linda Mac Cartney! Michael shoots the Thriller short film in Los Angeles.Jackie Kennedy Onassis visit him on the set and has dinner at Hayvenhurst. Michael & Diana Ross are on the cover of Ebony. Michael attends a James Brown’s concert at the Roxy and and one point, he comes on stage to sing and dance! 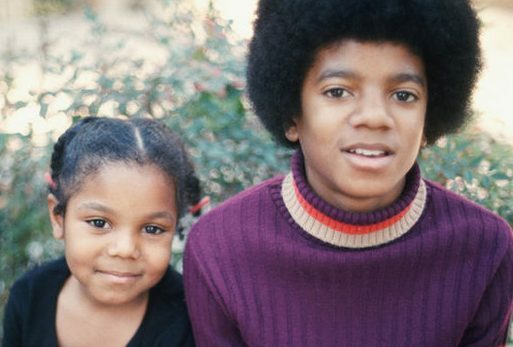 Michael & Quincy return to the Westlake studios to make an interview about Thriller. A $5 million endorsement contract is signed between The Jacksons & Pepsi Cola involving sponsorship of the Victory Tour & two TV commercials. Michael attends a press conference at New York ’s Tavern On The Green to announce plans for the Victory Tour. He is aaccompanied by his parents & sisters (in the audience) plus his brothers and a young boy named Emmanual Lewis (star of the TV show Webster). The 14 minutes short film of Thriller is premiered on MTV. Michael leaves for New York to promote the Thriller video. The Making Of Thriller is released on VHS and it will become the most biggest selling music video of all time!